It is not particlularly surprising that my book will hardly appeal to particle physicists, and not even lay much of a basis they will wish to discuss. There is no way to convince an expert that he or she has done nonsense for thirty years. Over the decades, high energy physicists have been hunting for ever rarer effects, just to declare as new particles everything they did not understand. Their model has grown to a nonsensical complexity nobody can oversee, thus their convictions about it rely – much more than in any other field of physics – on trust in expert opinions, one might as well say parroting. As a consequence, in any discussion with particle physicists one soon comes to know that everything is done properly and checked by many people. If you still express slight doubts about the complication, they will easily turn stroppy and claim that unless you study their byzantine model thoroughly, you are not qualified to have an opinion. But you don’t have to be an ichthyologist to know when a fish stinks. An obvious argument to make is that more than 10,000 physicists, obviously skilled and smart people, would not deal with a theoretical model if it was baloney, and presumably this is the strongest unconscious argument for all of them. It is a flawed argument, however, disproved many times in history. And it is inherently biased because it disregards all other physicists (probably the majority) who intuitively realized at the outset of their careers that a giant experiment involving a huge number of people was not the field where their creative ideas would flourish. Quantum optics, astrophysics and fields like nanotechnology have attracted the most talented in the past decades. No one who had a proper appreciation for the convictions of Einstein, Dirac, Schrödinger, Heisenberg or de Broglie could find satisfaction in post-war particle physics. This does not mean that all high energy physicists are twerps. Religion is said to make good people do evil things. To make intelligent people do stupid things, it takes particle physics. Many scientists, by the way, are busy fighting the religious nonsense that pervades the world’s societies (let some political parties go unnamed). Intellectually, this is a cheap battle, and thus some are blind to the parallels of science and religion: groupthink, relying on authority, and trust to the extent of gullibility. Though people will accuse me of promoting a conspiracy theory, I deny the charge. Most high energy physicists indeed believe that what they are doing makes sense, but they are unable to disentangle their belief from what they think is evidence. The more thoroughly one examines that evidence, however, the more frail it becomes. But, above all, it is impenetrable. Only the super-specialized understand their small portion of the data analysis, while a superficial babble is delivered to the public. This is a scandal. It is their business, not anyone else’s, to provide a transparent, publicly reproducible kind of evidence that deserves the name. It is no excuse that, unfortunately, there are other degenerations of the scientific method in the realm of theoretical physics: supersymmetry, and string theory which never predicted anything about anything and never will.1 It is a sign of the rottenness of particle physics that nobody has the guts to declare the nontestable as nonsense, though many know perfectly well that it is. They are all afraid of the collateral damage to their own shaky building, should the string bubble collapse. The continuous flow of public funding they depend so much on requires consensus and appeasement. However, experimental particle physics is somehow more dangerous to science as a whole, because with its observational fig leaves, it continues to beguile everybody that they are doing science instead of just pushing technology to the limits. I don’t care too much about the public money being wasted. We live in a rotten world where billions of dollars are squandered on bank bailouts, while every ten seconds a child dies of hunger. But the worst thing about the standard model of particle physics is the stalling in the intellectual progress of humankind it has caused. We need to get rid of that junk to evolve further. This entry was posted in Higgs, Methodology, Nobel Prize, particle physics by AlexanderUnzicker. Bookmark the permalink. I notice a fair number of the regulars from the FQXI comments sections among the commenters here. You should stop by on occasion. They have just concluded the most recent essay contest; It from Bit, vs. Bit from It. Now they will be deciding what the next contest question will be and I think the logical topic would be; Where to Now. Subtitled; Superstrings and Multiverses, or Reset? You might be interested in participating, should they go with that question. I’m a complete amateur, but I like asking simple questions and making obvious points. The one I’m probably most known for is arguing that physics looks at time backward. As particular points of reference, we experience it as a sequence of events and physics further reduces this to measures of duration and then relates it to measures of distance, to come up with spacetime. This only compounds the confusion, rather than clarifying it. It is not that the present ‘moves’ from past to future, but the changing configuration of what is, turns future into past. To wit, the earth isn’t traveling/existing along some fourth dimension from yesterday to tomorrow, rather tomorrow becomes yesterday because the earth rotates. This makes time an effect of action, similar to temperature, rather than space. Time is to temperature, what frequency is to amplitude. When you are moving along that vector from a determined past into a probabilistic future, you end up with a cat that is both dead and alive, but if you just let events unfold, probability collapses into actuality and then fades into residuals. The reason clocks run at different rates isn’t because they are traveling different time vectors, but because they are simply different actions, under different conditions. If time were a vector from past to future, you would think the faster clock would move into the future more rapidly, but the opposite is true. It ages/burns/processes quicker and so fades into the past more rapidly. So no ‘fabric of spacetime’ and no time traveling wormholes. Space is simply infinite and inert. Energy expands to infinity and mass coalesces to inertia. It’s a cosmic convection cycle. What is ‘mathematically’ expanding between galaxies, is collapsing into them at an equal rate and that background radiation has just traveled/dispersed through that expanding vacuum so far, it is redshifted off the visible spectrum. We may not be at the center of the universe, but we are at the center of our optical perception of it. As for those galaxies moving away, they still denominate the distance in units of C, ie. lightyears. If they are moving apart, so that it will take light longer to cross the intervening space, then it’s not relativistic, since the propagation/clock rate doesn’t increase in order for the speed of light to remain constant to this expanded space, so that’s not expanding space, only increasing distance. And saying it’s all four dimensional and we just can’t visualize it overlooks the fact that the space between two points is only one dimension. My vote would be for the reset. I have not had the opportunity to read your book, but I agree entirely with your comments! The fact that Higgs win a Nobel in 2013 is a shame! Modern physics was ridden like a house of cards … Invented ideas that support other ideas invented even more complex, without actually having connection to reality. Space-time is a pure math model and has no physical existence. Time is a duration of change in a 3D quantum vacuum. Higgs boson is not more than a flux of energy of quantum vacuum which happens by collisions. “What’s been missing from the Standard Model of physics today, as it’s been developed, is a tangible geometry in order to further develop a lot of our math. The current math at the moment relies on Gaussian formulations, where 4[pi] geometries are assumed to be spherical just like planets and stars. What Tetryonics will show and further elaborate on, is that the geometry or the [pi] geometry of energy is in fact equilateral triangles. It’s the tessellation or joining together of these equilateral triangles that creates the quantum mechanics that we formulate our math on. It then goes on to create all the large scale Classical interactions of Newton and gravitation. Congratulations! I just read your book and my perception of how physics is done has changed radically. I am an engineer and I have always been interested in fundamental advances in science: in fact, for years I felt something strange when trying to understand the supposedly fantastic advances in the theory of superstrings, quarks and so on. 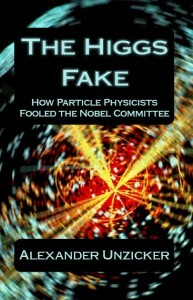 I was an avid reader of many popular books of some physicists that you mention in your book. Now after reading yours I finally understand what is happening! Fight to be heard. Please go ahead and resist criticism.